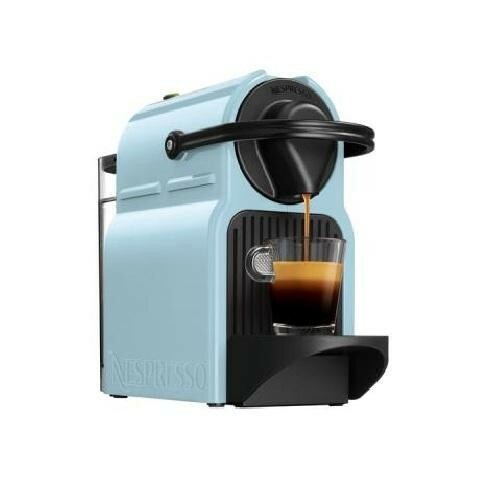 The Krups XN100440 Nespresso Inissia Coffee Machine in a light blue colour is not only the perfect way to add some colour into your kitchen but also a great way to make perfect shop-style drinks in the comfort of your own home. The 1260W of power and thermoblock ensure that hot water is readily available whenever you need it and the removable 0.7 litre water tank is large enough to supply all your friends. The 19 bar pressure ensures that you receive a perfect, smooth, shop-style drink everytime and the programmable water sizing allows you to get the perfect amount of water for your cup from small to large. 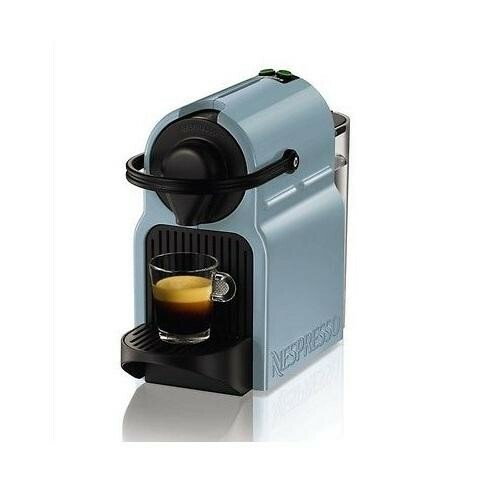 The automatic power off mode enables the coffee machine to automatically turn off after 9 minutes after being used but can be changed to 30 minutes which is a great feature for saving energy.